Cornerstone Living “With an Emphasis on Living” focuses strongly on allowing your loved one to live life to the fullest. When treating alzheimers & dementia, we strive to set the standard for memory care. We offer a well trained staff to be available whenever your family member is in need, while strongly upholding your loved ones need for privacy & independence. We are dedicated to meeting your loved ones medical & emotional needs with the security, safety, & comforts of ones home. The mission of Cornerstone Living is to provide exceptional service & compassionate care to individuals needing personal care, with a diagnosis of dementia, within an environment which optimizes life’s experiences, maximizes opportunities & celebrates their life & achievements. Cornerstone Living admits individuals who can be served in a personal care home with a diagnosis of some form of dementia regardless of age, gender, race, creed, national origin, religion or orientation. Prior to admission, a complete physical examination & physician’s certification of appropriate level of care is required of all residents. Nestled in a beautiful farm valley in Northwest Lehigh County, Cornerstone Living is within minutes of Interstate 78 & routes 309 & 100. Our country setting creates a calm setting, surrounded by country antiques & Pennsylvania Dutch flare. Our mission is a matter of words, the real test is in the services that we provide. Management has over 40 years experience in dementia care, assisted living, skilled nursing care, rehabilitative care & acute care. What sets Cornerstone Living apart from other Senior Care Communities is that we are committed to a family of service, NOT a corporate structure & a bottomline. The staff is trained regularly. Each is given the opportunity to advance in their field. Offering the best possible care for an affordable price is the real achievement. 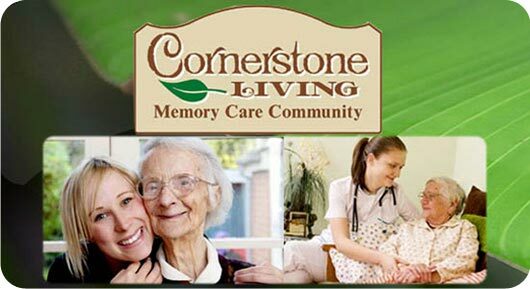 We urge you to check out Cornerstone Living for personal care & memory care services for your family member. 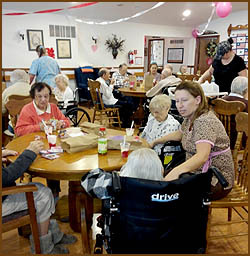 At Cornerstone Living we are committed to your LOVED ones individualized needs & care. Our team of professionals provide exceptional services & compassionate care. We bring extensive hands-on experience in the field of memory care & personal care to Cornerstone Living. Our team's task is their passionate life’s work, which shows in their dedication to establishing an individualized plan of services for each resident. The most current techniques & methods are employed in an individual setting to achieve a sense of love & caring in magnificent Northwest Lehigh County. Our highly acclaimed Weisenberg Therapy Center is an example of pro-active dementia services designed to minimize some behavior while maximizing life’s experiences & positive behavior. Cornerstone Living offers support services for family members to learn more about the different types of dementia. Each dementia is unique, each type can affect each individual differently. We offer resources & material for those family members seeking answers to those many unresolved questions. We care & we will help answer your questions & care for your loved ones unique needs. Click Here for more Information.